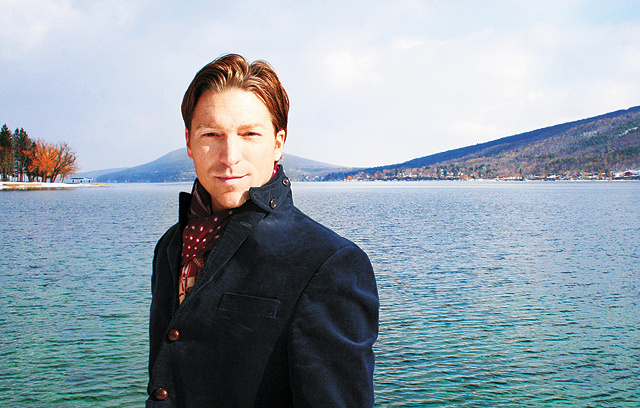 Growing up, Croteau said he never truly felt he could express himself, mostly due to his oppressive father, who he describes as the “oil to his water.” Croteau recounted that his earliest memories of his father were “entangled with fear and anxiety,” as Croteau struggled to fit the mold that his father tried to force him into: that of a macho athlete. While Croteau gravitated towards theater, his father’s rules prevented him from auditioning in any play. These microaggressions aimed at invalidating Croteau’s sexuality were common utterances from his father. Each year, countless men and women struggle with their own sexual identities. The decision to keep this knowledge private, burying one’s true self underneath feelings of inadequacy or fear of rejection from society, family, and friends, can trigger an internal war for the individual with potentially dangerous results. Quite often, suicide and self-abuse become the only escape from the emotional stress he or she carries. This toll was all too common for Croteau who took his suffering to the ultimate level. “I didn’t prepare a note—I wanted to disappear for good,” Croteau said. He prepared to asphyxiate himself by running his Bronco in his family’s garage, but was saved by his sister before he suffered any physical effects. But it wasn’t long before his self-hatred manifested itself in other ways. Croteau’s father was obsessed with his vision of perfection, according to Croteau. Constantly telling Croteau and his two siblings that they were chubby and out of shape, his father often forced his children to do pushups and situps. When Croteau left college and came home, he ended up starting to cut fat out of his diet. He said, “What I saw in my reflection, and what was forever imprinted in my mind, was a pear-shaped chubby person. I loathed my Humpty Dumpty figure, the one I’d inherited from my dad—skinny legs and an oversized, flabby torso.” He soon developed a deadly routine of starvation, exercise, and running to the point of withering away. 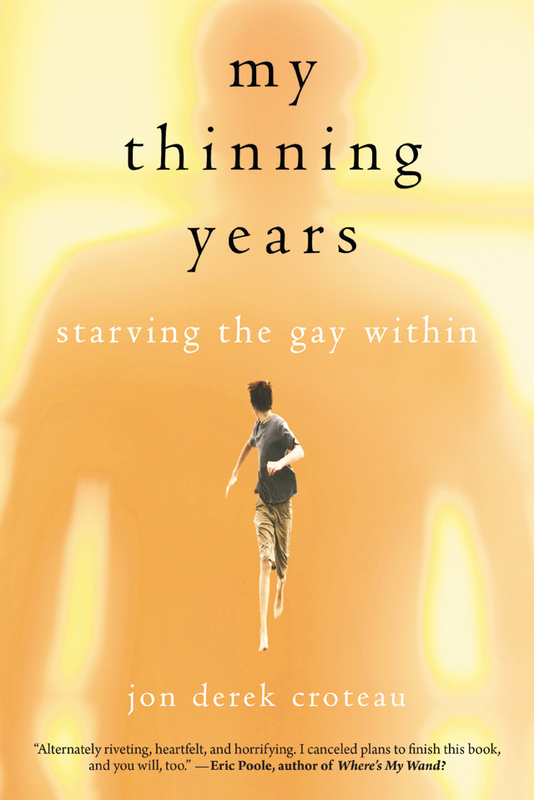 Yet his anorexia had another disturbing purpose—to starve the “gayness” out. Jon was so disgusted and ashamed of who he is that he felt compelled to punish himself and force the thoughts and feelings out by physical exertion. He tortured himself because he believed he deserved it—and had no intention of stopping. As it got warmer with the changing seasons, he began running in the middle of the day, during the midday heat in attempts to burn as much fat as possible. Stride after stride, he made his way through the winding roads of his hometown of Andover. The inner dialogue about fat grams and running became more obsessive and possessive. Croteau became very strict about sticking to his new way of eating, not wanting to be in situations where it would be difficult to adhere to it, and not wanting people to notice and remark on it. Eventually, he began scheduling long runs at times that would ensure avoidance of all social occasions and interactions. By the end of the summer, he was running at least two times a day. On the rare occasions that he saw friends (rarely, if ever, in situations that involved a meal) they would issue statements of concern. “Jon, you’re losing too much weight!” they’d say. “Are you eating enough?” He would attribute weight loss to simply eating healthy foods and suggest that they should, too. Croteau’s journey from those obsessive thoughts to self-acceptance was a long one. After initially leaving college and moving back in with his parents, he received a call from a close friend at Emerson College. This friend expressed knowledge of what was going on and suggested he visit the Emerson campus. Croteau relented and, after visiting and seeing so many people who are open and comfortable with their orientation, he described the experience as cathartic. After fighting with his father (with the assistance of his mother and sister), he was able to apply to and attend Emerson. Slowly, he began telling others around him of his sexuality, and he credits some amazing therapists with helping him along his path to self-acceptance and recovering from his eating disorder and running addiction. I’m definitely going to be reading this book. Croteau’s story widens the conversation about surviving the damage done to us in our childhoods that we often have to fix in our adulthood. I applaud his courage to put all of this in a book that will ultimately help thousands of gay people. Blah blah blah blah blah. It’s the same story over & over again. I am a 49yr old gay man who grew up on the streets of Brooklyn raised by an insane Irish Catholic Family. I spoke my mind when I was a teenager said “I’m Gay” the whole neighborhood freaked, got over it and embraced me. This I attempted suicide crap is so old and should not be repeated over & over again, so our gay youth of today, who are still “youths” even think about it.